Born and raised in Ontario, Canada, Jason reluctantly headed west in 2001 for a year of Bible school at Capernwray Harbour. Although resistant at first, Jason rediscovered Christ as life during this year of Bible teaching, practical involvement and service in community. After completing another year of leadership training at Capernwray Harbour, Jason headed further away from his home and family in order to serve at a Torchbearers affiliated Bible school in South India. Unbeknownst to him, this trip would be the first of many over the next eight years. Each new Bible school year saw Jason return to India bringing larger and larger teams of other Capernwray students to help serve in various ways. Eventually these group trips turned into an official Torchbearers missions training program, The Asia Practicum Programme. It was on one of these teams in 2006 that Jason met his future wife, Stephanie. 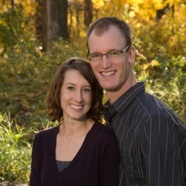 Married in 2008, Jason and Stephanie had the privilege of leading teams of Capernwray students to serve in Torchbearers centres in the Philippines, Malaysia, Indonesia and India until 2010 when they felt God moving them back to Canada to pursue further education. Today, Jason and Stephanie, along with their daughter Isla, make their home in Calgary, Alberta where Jason works with Samaritan’s Purse Canada. Jason has taught Bible courses at several Capernwray schools in both North America and Asia, as well as traveled extensively through the Torchbearers network sharing passionately about missions at Capernwray schools in Europe, NZ and Australia. An adventure seeker by nature, Jason loves to ride his motorcycle, travel to new places and play hockey and squash. Looking back over the amazing journey Jason has been on since reluctantly going for a year of Bible school, he can hardly believe he resisted his Creator then and why, even now, he has a hard time continuing to live life to the fullest in Christ. It’s hard to believe that we can learn very much from an old man who lived 4,000 years ago in the Middle East, but scripture says just yet; the events that unfolded in Abraham’s life are recorded for our sake - those who believe in Jesus Christ. Today, Abraham’s name is one of the most well known historical figures and he is looked to by three of the world’s major faiths: Judaism, Islam and Christianity. In fact, each of these have shape-shifted Abraham’s life over the millennia to serve their clashing goals and dogma. But what does God truly want us to know about Himself through the story of this man, a journey filled with both failures and faithfulness? To this end, we’ll look at passages in both the Old and New Testament to discover that, in spite of the time and cultural gaps, we, too, can know the God of Abraham and experience His grace. As we come to understand the life of Abraham in historical and Biblical context, we will also inevitably come to know the Life of Jesus offered to us and be encouraged to walk more confidently in the faithfulness of God.